Sam & his brother Stevie. 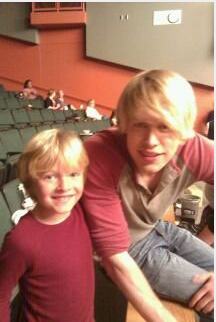 I found this picture of Sam with his little brother, Stevie. Stevie is played by Cody Hamilton.. Wallpaper and background images in the Glee club tagged: glee cast.